Floors take a lot of wear and tear on a daily basis. Over time, your floors can get scuffed up, chipped, dull, damaged, or scratched. Keep your floors looking their best by calling the floor refinishing professionals at ScreenCoat Painting & Flooring LLC. Our knowledgeable floor refinishers have the expertise to repair or refinish any type of floor, including hardwood, tile, and natural stone. When your floors need refinishing or repair, ScreenCoat Painting & Flooring LLC will make your floors look brand new. 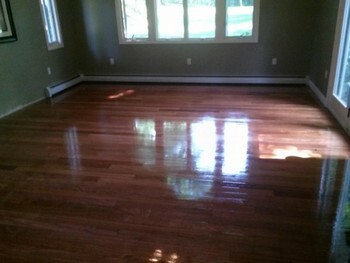 ScreenCoat Painting & Flooring LLC has been in the floor refinishing business for 18 years. Pamper your floors and instantly boost the value of your home by having your floors professionally repaired or refinished. Call (978) 216-2016 to schedule one of our flooring experts to come to your home. We will give you a free comprehensive estimate. Most floor refinishing or repair jobs are completed in one day. Call (978) 216-2016 to speak to one of our floor refinishing experts. ScreenCoat Painting & Flooring LLC has been professionally refinishing floors since 2001.